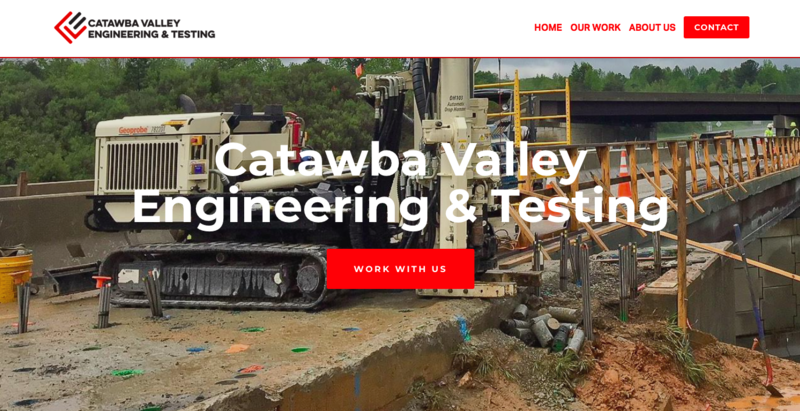 Catawba Valley Engineering & Testing’s new Quick Start website, developed as part of their Jump Start package with VanNoppen, has helped the emerging business get up-and-running. VanNoppen’s Jump Start package allows new businesses like CVET boost their branding and web presence rapidly and below typical market costs. The package includes a customized set of business essentials, including a logo, business card, letterhead, and website. CVET’s new Jump Start website is professional, personalized, easy to maintain and navigate, and features a portfolio of their work. Check it out!